When selecting a new biological safety cabinet (BSC), many factors should be considered. When selecting a new biological safety cabinet (BSC), many factors should be considered, and it all starts with picking the right class—broadly speaking, I, II, or III. The right choice arises from a risk assessment, which depends largely on what is used in your experiments. Once you answer that question, visit the American Biological Safety Association’s Risk Group Database (my.absa.org/tiki-index.php?page=Riskgroups). There, you can get your agent’s biosafety level (BSL)—1, 2, 3, or 4—according to various organizations, including the U.S. National Institutes of Health and the European Union. To explore the topic even further, review “Biosafety in Microbiological and Biomedical Laboratories” (www. cdc.gov/biosafety/publications/bmbl5/BMBL.pdf), which is produced by the U.S. Centers for Disease Control and Prevention (CDC). Don’t stop there. When asked for her top tip in selecting the right BSC, Alexis Brubaker, biological safety officer at Cornell University (Ithaca, NY) says, “Work with a biosafety professional up front—don’t do it alone!” The wide variety of options demand a thorough review of current and future research. 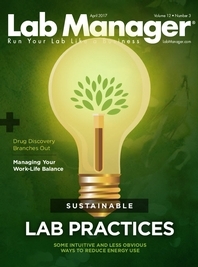 “A biosafety professional can help identify the big-picture needs of the science as well as weed through all the purchasing options,” Brubaker explains. Ultimately, this consultation saves money and time. The least risky BSL is 1. For scientists working with low-risk agents—like Escherichia coli K12—the BSC protects the sample more than the scientist, really. Here, a class I or II BSC works fine. Scientists working on human diseases, such as Staphylococcus aureus or E. coli O157:H7, must meet BSL-2 containment. Here, a BSC must be used, but a class I or II could suffice. At BSL-3, the agents, such as Mycobacterium tuberculosis, pose a danger through inhalation. In addition to a variety of increasingly complex criteria, the CDC recommends a class II or III BSC for this work. The most dangerous agents can be worked on only in a BSL-4 facility, and there are only a few dozen in the world. These labs work on the worst of the worst, like Ebola and Marburg viruses. At BSL-4, an operator must either wear a one-piece positive pressure suit and work in a class II BSC or use a class III BSC with a lower level of personal protective equipment. Keep in mind, too, that it’s not just the biological agents that matter. “If you’re using a hazardous chemical with a biological load, that has a big impact on what you select,” says Garrett. This overview provides some general guidelines, but this is an area in which expertise should be sought before deciding. 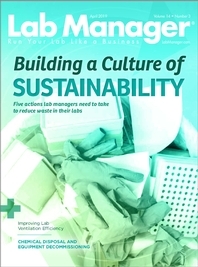 Some labs also need a flexible option— something that can be adapted to an evolving space. “While it is true that there are three classes of BSCs, the vast majority are class II,” says Dave Phillips, senior global product technology specialist, clean air, at Thermo Fisher Scientific (Waltham, MA). He points out that class I BCSs protect only personnel and the environment, and class III BSCs are awkward to work in and are used only with the most hazardous agents. “For most North American lab managers,” Phillips says, “the question they will more likely ask is: which type of class II BSC is needed?” Class II BSCs come in five types: A1, A2, B1, B2, and C1. Where volatile toxic chemicals are not used, scientists can work in an A1 or A2 with the air filtered and vented into the lab. When using volatile toxic chemicals and biological agents, you probably need a class II BSC connected to external exhaust, such as a canopy- or thimble-connected A2, B1, B2, or C1. In most cases, a thimbleor canopy-connected A2 is the most popular choice. Even with a given BSC class, there’s much more to consider to ensure the required level of safety, and a key factor is how the product is constructed. “How a cabinet is designed from the ground up will help identify the level of protection and product longevity,” John Peters, marketing director at NuAire (Plymouth, MN), says. When assessing how a BSC is made, begin with the material. Is it constructed from cold-rolled or stainless steel? You’ll need to balance risk, investment, and equipment life. Then, buy a BSC constructed of the material that keeps your scientists as safe as possible, but doesn’t unnecessarily break the bank. How long a BSC keeps your team safe, though, also depends on what holds the pieces together. Some manufacturers use rivets and sealants, and others use welds. Any BSC’s safety depends on it doing what it’s supposed to do, such as providing the specified flow. Usually, the flow is monitored inside the plenum, which measures the static pressure, or with an airflow probe. “NuAire offers both technologies,” Peters says. “The benefit to using an airflow probe is that it is using the same technology certifiers used to certify your cabinet.” The static measurement works fine to ensure that a BSC is at the proper pressure, but you won’t get any information about the actual airflow. Whether monitoring the pressure or the airflow, a BSC should let you know if something goes wrong. An alarm should indicate when the system is not working safely or if the sash is at a level that makes the system useless. To select the right BSC for your task, you’ll need to think about how you’ll use it, study the requirements for the agents that you have in mind, and make sure to get the features that ensure the performance you need. Scientists often overlook some of the intuitive but less-obvious ways to reduce energy use in the lab. As a multidisciplinary activity, drug discovery relies on a range of life science analytical and processing platforms.